IDM UEStudio 17.10.0.18 (x86/x64) Portable ~ Apps2Portable | Free Portable Apps for PC ! UEStudio is the powerful IDE (Integrated Development Environment) built on the chassis of UltraEdit, the world renowned text editor. As a full integrated development environment, UEStudio includes all the features of the powerful UltraEdit text editor plus native support for over 30 popular compilers (including Microsoft Visual C++, Java, GNU C/C++, PHP, Perl and over 30 others). 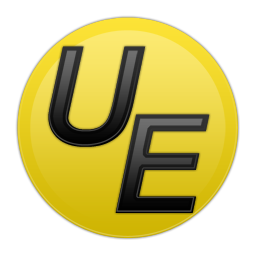 UEStudio includes integrated debugging, VCS version control, built-in class browsing, language intelligence (like Intellisense), project conversion, and batch building features, as well as many other advanced features. Download your copy today to begin writing, debugging, and building applications in your favorite programming language. UEStudio, all the features of UltraEdit plus the power of an IDE. UEStudio '09 builds upon the highly acclaimed UltraEdit v14, but goes even further to bring you a must-see interface that offers stunning new functionality, as well as an array of powerful new features - such as an integrated PHP debugger, updated version control, and so much more... UEStudio '09...Designed to transform the way you work! UEStudio is fast, stable, lightweight, and powerful and offers any UltraEdit user advanced programming functionality at a fantastic value!